Our yoga classes have grown in Taupo over the last ten years. The first classes started at REAP and then in conjunction, seven years ago, small boutique classes began at The Yoga Room in Richmond Heights. Five years ago we decided it was time to look for a dedicated space in the Taupo town centre for people of all ages and abilities to come together and practice Yoga and attend Workshops to enhance their health and well-being. 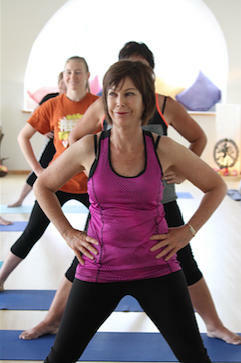 We found our new space in late February 2010 and opened Yoga Tree Taupo on March 9th 2011. Now, five years on we are grateful to our teachers and loyal students for the incredible journey so far. At the beginning of this year 2016 Anandi decided to take a wee step to the side and invited Brigid to become her partner at The Yoga Tree. This is the beginnng of another chapter in the Yoga Tree Taupo's history book. We look forward to looking after you with double the energy now! We aim to fit the yoga to you and always have alternative things that you can do so that whatever age or fitness level that you are you will be able to practice and give things a go. Our teachers are fully trained and continue with ongoing teacher training several times each year. In all our classes, apart from our Workshops, you are able just to 'drop in', there is no need to book. With regards to payment, you can either pay as you go, or depending on how often you would like to practice, you can open an account and from your account receive the cheaper concession price for all of the classes on our timetable. We recommend that if it is your first class, that you arrive at least 15 minutes before the start time (the studio opens 20 minutes before classes start) so that you can introduce yourself to the teacher. We ask that for all classes you arrive at least ten minutes before class starts as we like begin on time. Please wear tighter fitting clothing, leggings or shorts that we can see the shape of your body rather than baggy or flared pants and tops, this way we will be able to help you further with your alignment and joint health.